Networks architecture must support a broad range of applications and services, as well as work over several different types of cables and devices, which make the physical IT infrastructure. The network architecture refers to the technologies that support the infrastructure and the added services and protocols that forward messages across the network. Key factors and approaches involved in implementing and supporting a network infrastructure that facilitates modern work styles such as constant connectivity and mobile productivity. 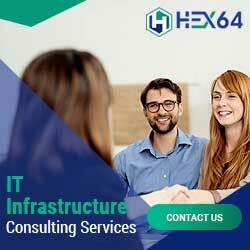 The role of principal network architect in enterprise IT is to support the networking components that establish the networking environment by designing system configuration, directing system installation and defining, documenting and enforcing system standards. 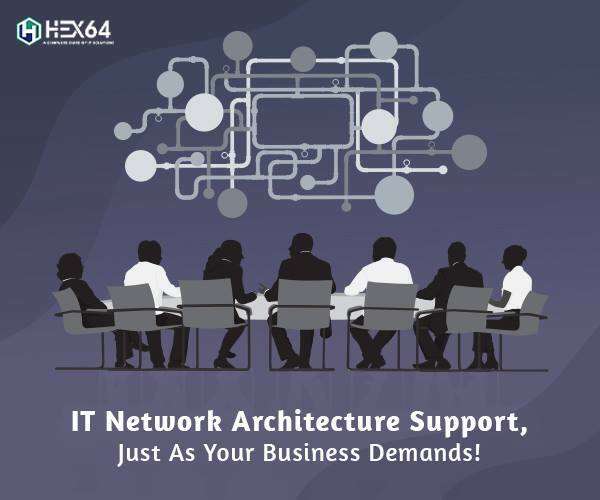 The Network Architecture Supports individual applications and business processes. Network architect is responsible for providing wired, wireless, and remote network access for the organization, implementing network security across the network (including our network edges), and network architect make sure that the resources which are responsible for network functionality are working as they should: IP addressing, traffic management, name resolution, routing, switching and so on. To connect from anywhere at any time to whatever resource, IT team need to be productive. The change started five to eight years ago with the constant connectivity technology just like mobile provides, but the change is ongoing as new technology emerges. Smartphone, laptops and tablets have given people Internet access everywhere they go, whenever they want, and that expectation naturally extends to their work environment. It started small but it has extended into all aspects of being technically connected to work resources. Companies must have an environment where work/life balance is important to the corporate culture, and employees need to use the modern work style to make that work with their responsibilities. They should be productive outside of the office and in traditional work hour also. The enterprises are taking primary steps to change the work style with the constant addition and migration of applications to the “available anyplace, anytime” ecosystem, and the expansion of a wireless network. For example, most of the Companies are hosting customer relationship management (CRM) solution on the cloud, so the salesperson can be productive without having to connect to our corporate network. There are two main strategies that have been ongoing for 24×7 connectivity. The first one is moving apps and portals to be Internet-facing. For most of them, that means moving to the cloud services. For others, we are implementing hybrid solutions where some of the apps run on the cloud while some of it stays on-premises in data centers. But the cloud is the ultimate goal for all our apps and processes. The second strategy is to be a wireless ecosystem. This means that for companies’ users/employees connections, wireless is the first and best solution for them. Most of the smart devices (phones, tablets, etc.) in the marketplace are wireless-only, so businesses need to have suitable wireless coverage and bandwidth to make sure that their employees can work in the form that best suits them. Businesses support multiple methods of access across multiple platforms and devices, so employees can use whatever device enables them to be most productive. Various devices have various methods of access, and businesses had to make sure the network design given that suitable protection for and from these devices. With a quickly changing environment, it’s really critical for enterprises to communicate. This means keeping in contact with enterprises and making sure them how the network is being used and forecasting changes in users and technology. In this field, a five-year plan for implementation just doesn’t make sense, because everything changes so fast. Now, that doesn’t mean that we’re looking downward, only placing one foot in front of the other. Businesses must not afford to do that; there are many changes and many reasons to focus on the horizon. Businesses must have an 18-month roadmap that’s divided into six-month cycles. That’s how far ahead when businesses think about technology changes and implementation. Businesses need to revisit this roadmap at least every two months. Enterprises do have a long-term strategy, though, that is supported by a three- to five-year vision. These longer-term strategies are at a much higher level, and it permits for things to change, technology-wise. Communication and training. The service provider must have its hands on his user experience everywhere. The service provider must have a User Experiences group that’s committed to the relationship with his internal users, who eventually are his customers. The service provider should provide opportunities to get one-on-one with members of his IT teams and try to proactively mitigate situations before they become a problem. For cloud computing, it’s been a lot of education and assurance. There are many misunderstandings about cloud computing out there. As cloud service providers want to ensure that the provider can show their users that data and apps are just as safe or safer within the cloud technology that they are using. The move to wireless-first has had a big impact on Business IT infrastructure. In many cases, the transition over the wireless network is genuinely easy, and users embrace it. However, there is a thought that a wireless connection isn’t as trustworthy as one that’s wired network. So business needs to make sure by the service provider that the build-out of his wireless network is as reliable and robust as possible. Deploy to a wired network is more expensive compared to the network infrastructure required to implement a wireless network. If enterprises need to expand or renovate the network in a physical location, then the priority should be wireless-first. It means that the enterprises don’t need to provide the same level of wired infrastructure in the location. It’s a way to huge cost saving, and it makes much simpler to the network for further changes and upgrades. Another big impact has been to the corporate network. Corporations have a lot more bandwidth at the edge than before. Businesses have also increased network security measures with the increase and change in traffic, building strong firewall rules and implementing information security for incoming and outgoing traffic to protect data loss.